An Orlando man has been arrested after he reportedly attacked a flamingo at Busch Gardens in Tampa on Tuesday, August 2. Joseph Corrao, 45, was detained by Busch Gardens' security following the incident. He was arrested by Tampa Police and is currently being held at the Orient Road Jail where he faces an aggravated cruelty to animals charge. Police say he reached into the animal pen that holds all of the flamingoes at Busch Gardens, grabbed a Chilean flamingo and threw it onto the ground. A witness tells Tampa-based WFTS that Corrao picked up the flamingo and threw it down "in a rage." The witness immediately thought the flamingo died. 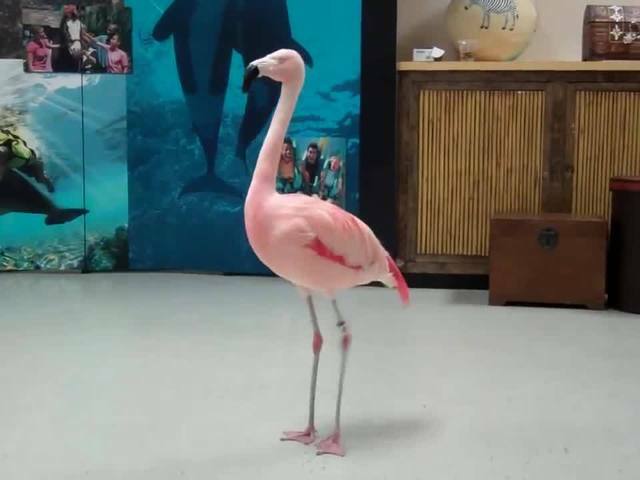 Busch Gardens confirmed that the flamingo, named "Pinky," suffered traumatic injuries. Officials with Busch Gardens tell us "Pinky" was immediately transported to the park's Animal Care Center where veterinarians made the decision to humanely euthanize her based on the severity of her injuries. Pinky was recently featured on Tampa Bay's Morning Blend. Watch the video here . Busch Gardens says, "Pinky was a beloved member of the Busch Gardens Tampa Bay family and made many appearances on behalf of the park's conservation and education efforts. She will be sorely missed." Corrao is being held on a $5,000 bond.